Many people get emotional comfort and support from dogs and other animals. Animal companionship has been found to provide genuine therapeutic benefits for many people, including those with psychiatric disabilities and anxiety. If you are considering getting an emotional support animal (ESA), it’s important to be aware of your rights and responsibilities while in public, while traveling on an airline carrier, and in the case of housing. Emotional support animals provide support and comfort through companionship and affection to someone suffering from an emotional or mental condition. Unlike service dogs, emotional support animals do not need to perform tasks for a disability like searching a room or helping someone cross a road. Emotional support animals can help with many conditions including phobias, post-traumatic stress disorder (PTSD), anxiety disorders, bipolar and mood disorders, depression, and other psychological conditions.Emotional support animals can provide genuine health benefits. Animals can help reduce blood pressure, cholesterol, and stress levels while fighting feelings of loneliness. Support animals have been shown to improve mental health for people struggling with mental and emotional issues. Service animals and emotional support animals are very different and the terms should not be used interchangeably. There are also different laws governing each type of animal.Service animals are trained individually to perform specific tasks to mitigate their handlers’ disabilities and unique needs. Service animals work as a team with a disabled handler to help them achieve independence and safety. The Americans with Disabilities Act (ADA) protects the right of disabled individuals to be accompanied by service animals in public places.Emotional support animals, on the other hand, do not need to receive specialized training for their role. The main purpose of a support dog is providing emotional support and companionship to an owner. The ADA does not give emotional support animal owners the right to be accompanied in public establishments that do not allow pets, but other laws do protect owners with support animals. The DOJ/HUD Fair Housing Act allows disabled owners with emotional support animals to reside in housing with a no pets policy and requires reasonable accommodation, which is the same protection granted to people with service dogs. The Department of Transportation’s Air Carrier Access Act also offers protection by allowing people with proof of disability to be accompanied by their emotional support animal. What are the Qualifications for Getting a Dog for Emotional Support? 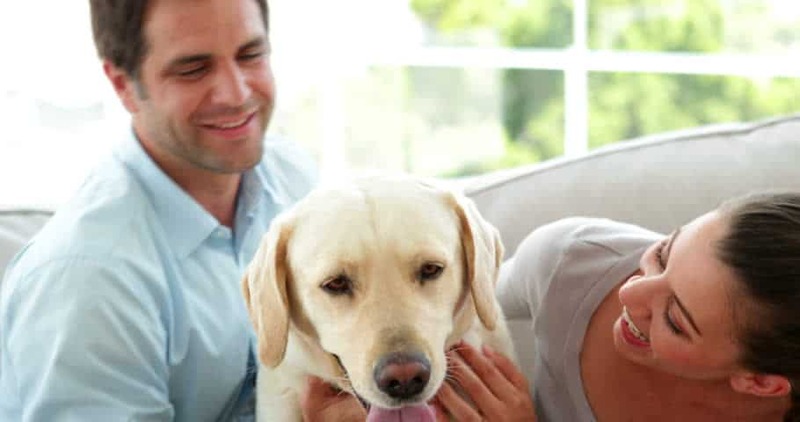 An emotional support dog or animal must also meet certain criteria. Emotional support animals do not need to be specially trained, but they do need to be reasonably well behaved in public by pet standards. The animal should be toilet trained with no bad habits like barking or snapping. A wide variety of animals can qualify as an ESA. An emotional support animal cannot be an exotic animal and it must be domesticated. While most emotional support animals are dogs or cats, other animals can qualify. This includes certain birds like parrots, pigs, rodents, rabbits, ferrets, and some reptiles like iguanas and snakes. If you are considering an animal that is not a dog or cat, you can ask if the animal would qualify before beginning the registration process. 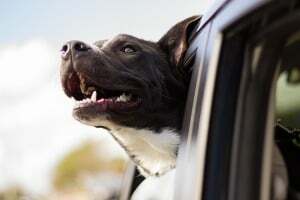 An ESA offers legal protections to owners, but it’s not necessary to have the animal registered. Any domesticated animal can qualify as an ESA, including a rat, miniature pig, dog, cat, rabbit, or ferret. To qualify an animal, you must be legally qualified for an ESA with evidence provided by a formatted prescription letter. An emotional support dog letter should state that you are the licensed mental health professional’s current patient, you are under care for treatment of a mental disability on the Diagnostic and Statistical Manual of Mental Disorders (DSM IV or V), your disability limits at least one major area of life, and you have been prescribed an emotional support animal for treatment. The letter must be dated and written on the physician’s letterhead with their license information. It is not legally required to register your ESA, and there is no need for an ESA to wear a vest, ID tag, or harness stating they are an ESA. Since an emotional support dog is not a service animal, they are not trained to perform a task and are not “working”. Therefore, the public does not need to know that the dog in question provides you emotional support . There are no rules barring you from having more than one emotional support animal, but the basic requirements remain the same for each animal. To claim more than one emotional support animal, you will need documentation to support the need from a mental health professional. A practitioner will need to provide documentation that each animal alleviates a symptom of your disability.Even with a qualified emotional support animal, a landlord has the right to limit the breed, size, and access to common areas after tenancy has begun. Your landlord may also limit the number of animals considered emotional support animals you are allowed. A prescription for two support animals does not automatically entitle a landlord to allow two animals in a no pets housing facility. The Air Carrier Access Act provides protection for disabled people traveling with an emotional support animal. Under the act, people with a mental or emotional disability can keep their ESA in the aircraft cabin with them without placing the animal with pets in a separate area of the aircraft. This does not require paying an additional fee for the animal.While traveling with an ESA, you may need to provide documentation to establish your disability and the reason your animal must travel with you. You should contact the airline before you travel to find out what type of documentation you will need to provide. In most cases, the ESA ID you receive when you register the animal with the National Service Animal Registry is sufficient. The airline may require current documentation (no older than 12 months) on letterhead from a licensed mental health professional stating you have a qualified disability and your ESA animal is necessary to your treatment.Airlines are not required to carry any type of animal in the cabin or cargo hold and they may adopt any policy they want as long as it complies with applicable requirements like the Animal Welfare Act. This means that airline carriers can consider animals on a case-by-case basis based on factors like foreign country restrictions, the animal’s weight and size, and whether the animal would cause an alteration in cabin service. Airlines are not legally required to transport unusual animals like rodents, reptiles, and ferrets while foreign carriers are not required to transport any animal aside from dogs.You are not required to sit in any particular location on the aircraft unless your emotional support animal is large enough to obstruct an aisle. Airlines are restricted from charging fees to accommodate disabled persons under the Air Carrier Act. This includes people traveling with an ESA and sufficient documentation. The Fair Housing Amendments Act of 1988 requires housing communities that restrict pets make reasonable accommodations for people with emotional support dogs and animals. Verified emotional support animal owners cannot be denied housing, just as people with disabilities cannot be denied housing based on their disability.To be protected by this law, you must have a diagnosed qualified disability with documentation. This will need to be provided to your housing representative, landlord, or property owner.The FHA applies to nearly all types of housing including housing for rent or sale as well as condos, apartments, and single-family homes. There are a few exceptions, including buildings with 4 or fewer units when the landlord lives in one of the units. The FHA excludes private owners who do not own more than 3 single family homes, do not use a broker or real estate agent, and do not engage in discriminatory advertising. This means a landlord renting out a single home on their own is not obligated to make accommodations or accept an emotional support animal on their property.The FHA does cover homes in planned communities, rented and owned condominiums, and apartments with no pet restrictions or clauses as long as they are not under these listed exceptions.Under the Fair Housing Act, a property owner or landlord cannot charge a fee or advance deposit for an ESA, even if the property is a no pets facility or pet owners are charged a pet deposit. It’s important to note that if ESAs cause significant damage to the property or the animal appears neglected, the property owner has the right to recoup fees and damages.Property owners are barred from questioning the legitimacy of a disability, require an animal to wear ESA identification, or refuse housing. This means the landlord can ask for documentation of the disability-related need for the animal, but he or she cannot ask for any personal medical information. A landlord may not ask for medical records or access to medical providers or detailed information of a person’s impairments. According to HUD, an emotional support animal provides emotional support to alleviate at least one symptom or effect of a disability and the animals do not need specialized training. While an ESA does not need training, there has been one court that has ruled an animal must facilitate the owner’s ability to function. Does the individual have a disability? Does the person have a disability-related need for the animal? Your emotional support animal must be allowed in all areas of the property where you are normally allowed to go unless it creates an undue administrative or financial burden or would alter the nature of the services the housing provider offers. This usually includes your residence as well as tenant common areas. There may be some areas open to the public in which the emotional support animal can be excluded by a service animal may be allowed. In most cases, a landlord may not limit emotional support dogs based on breed. 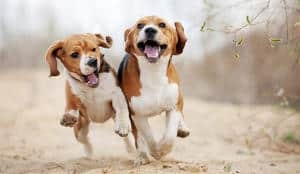 Housing providers can only determine if a specific animal poses a threat to the safety and health of others which must be based on an individual assessment based on objective evidence about the animal’s conduct, not based on fears about a certain dog breed. The only case in which this can be an issue if when the landlord’s insurance company restricts certain dog breeds in the insured’s policy. An investigation into potential disability discrimination may be launched into the insurance company if the policy does not have an exception for assistance animals.